Before writing books for young adults, Bill was a sports writer working for the Associated Press and ESPN.com. His work has appeared in the New York Times and OUT Magazine. 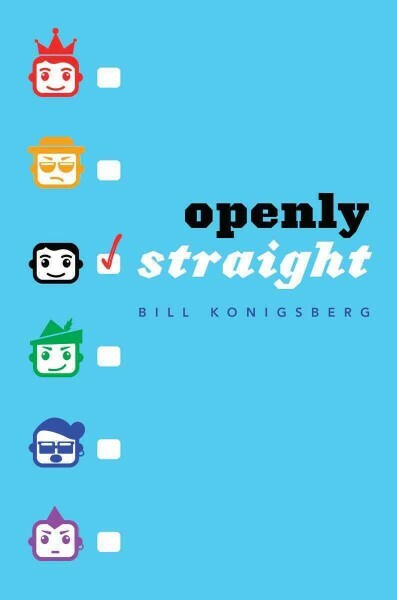 In his latest book Openly Straight, Bill turns the coming out story on its head by exploring the ideas of identity, fitting in and being true to yourself. 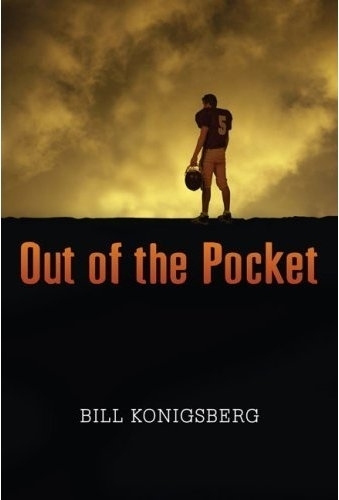 Bill's debut novel Out of the Pocket won the Lambda Literary Award in the LGBT Childrens/Young Adults category. In your latest book Openly Straight you look at the traditional coming out story from a completely unique angle. How was your own coming out experience and did it inspire your characters? Coming out as a teen was one of the hardest, most traumatic experiences I've ever had, and I think I gravitated toward writing the kinds of books I write because of this. It's a way of re-living and re-imagining my own experience, as well as "paying it forward" and helping others who are coming out now. It was a different time when I came out for the first time -- the 1980s. We didn't have all the gay role models that we have now, and I had to search the word "homosexuality" in my school library. All that came up were stories of this new disease -- AIDS -- that was killing gay men. Consequently I felt very alone, and I also felt very afraid. My experience telling family members was really mixed. My mother really struggled with the news, even though she had many gay and lesbian friends. It wasn't what she wanted for me. My stepfather was a very macho guy, and he hated things he perceived as weaknesses. I guess he saw me being gay as a weakness, because it destroyed our relationship. To this day it hurts to think about that time in my life. So I suppose that I write about characters who have less of a struggle than I have. I don't know why. It's a different time, perhaps. How much of your experiences of being a young gay man do you put into your writing? Are any of the situations in your books written from an autobiographical angle? So much of what I write comes from my own life. Even if I translate it, it is emotionally true for me. People often comment that they can feel so much of what my characters feel, and I think that's because I felt it as I wrote it. I relived feeling like the only gay person in the world like me in Out of the Pocket. In Openly Straight, I relived feeling exhausted by having to constantly come out to strangers when really being gay is not the most important part of my identity. That's something I felt as a teen, and that's something I continue to feel as an adult, and hence it appears in my story. I often joke that I'm an emotional idiot, and I only know what I'm feeling by reading what I've written. It all seems to come back to something elementary and essentially true about me. In your debut novel Out Of The Pocket, sport plays a significant part. Can you tell us about your experiences in the world of sports writing and how this helped you when writing your books? From a young age, I was interested in sports. I was the type of child who would be out playing football or baseball with my friends until it was simply too dark to see the ball. So when I started to realize in my teen years that I was gay, I struggled to understand how these identities fit together. How could I be a jock and gay at the same time? It was the 1980s; we didn't have as much information as we have now. I thought I was the only athletic kid having these thoughts. Boy was I wrong! But anyway, I wound up working as a sports writer in my 20s after college. "I was out with my family and friends, but when I went to work at ESPN, I looked around at the sports world and there were no openly gay guys working in sports. So I decided if I wanted my dream job, the price was I couldn't be honest about who I was." And I lived that way until I was 30. And by then I'd had enough and I gathered the strength to tell the truth. And I did, and it was okay. I was still mostly alone, but I was respected. So for me, being gay and interested in sports is central to my story, and I tend to write what I know. With Out of the Pocket, I wrote directly about it, I wrote about a gay football player who comes out in the spotlight, much like I did at ESPN. My coming out was in an essay I wrote for ESPN.com. So that book is pretty much a direct translation. Your books have a very contemporary feel to them. Do you think it's different for teens who are coming out and being gay in 2013, than it was when you were that age? I feel as though we sometimes get fooled by the external trappings of life in 2013, into thinking that teens are totally different today. In fact I don't think they are. I tend to write teen stories because that was such an emotional rollercoaster for me; it remains the most volatile time in my life and therefore the most rich. And I think my teen characters of today have the same internal workings as I had 25 years ago. Absolutely we're the same. I just have to imagine some external things, like what it would feel like to have so much knowledge at our fingertips always (the internet), compared to how I grew up. That's easy stuff to imagine, and it's fun to do it, actually. As for gay things, I think it's both different and the same. The part that is the same, for a vast majority of gay teens, is that finding out you're gay means finding out you're different than your family of origin. What could be more jarring than that? On the positive side, an increasing number of parents and families are accepting and nurturing that difference today, as compared to back in the 1980s. How important do you think it is for young people to to be able to read books with gay characters who are actually the focus of the story, rather than existing on the edges of the story? I think it's terribly important for teens to have reflections of themselves in literature, and to have those available in schools and libraries is an affirmation that we owe the younger generation. It says 'this person exists. People like you exist.' Shouldn't that be the least we do for kids who are going through something as difficult as coming out? I think a lot of straight people read my books. I know for a fact that a huge percentage of my readership is straight females; I think straight males often prefer to read about people like them, but we ought to encourage those people to step out of their comfort zones. So many of my reviewers have said that they didn't expect to relate to my character Rafe in Openly Straight, but that in the end they did, because they too have felt penned in by a label. It's that feeling of relation to an LGBTQ character that changes hearts and minds. And as good as things have gotten, we still need more hearts and minds changed. Click here to buy Openly Straight from an independent bookseller (if you're in the US).